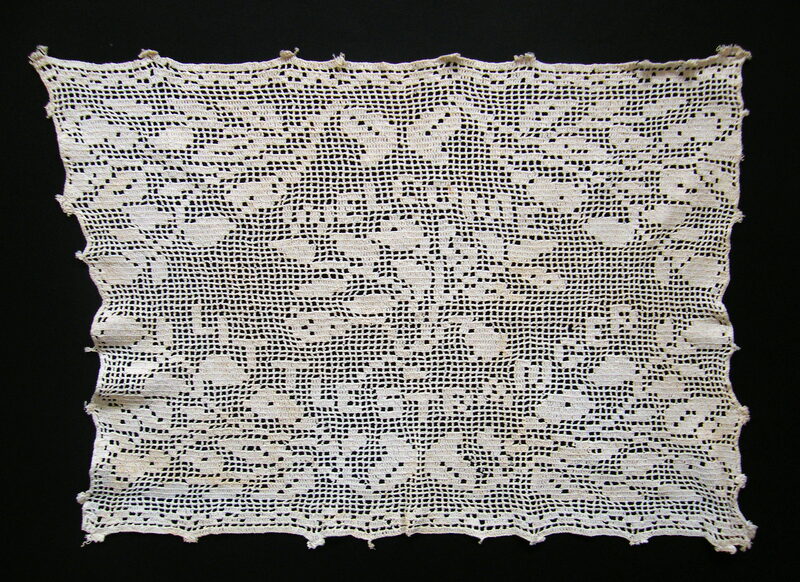 This hand-worked cushion cover was made for a newborn baby and bears the words “Welcome Little Stranger” along with a motif of butterflies and leaves. The term “little stranger” was not an uncommon endearment for newborn children. One theory for this is that calling a newborn baby “stranger” maintained a distance from it, in case it should die in infancy, which was common for the times. The cover dates from approx. 1900 and is part of the Port Family Collection at the Kapiti Coast Museum (it is not currently on display). 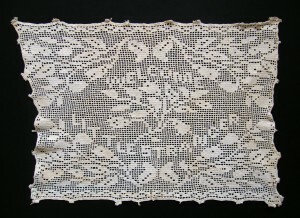 Newborn’s Cushion Cover c1900. Port Collection.